Hunter's Glen Luxury Apartment Homes, located in Aurora, IL, offers a convenient location off the Ronald Reagan Memorial Toll Road (I-88). Residents can enjoy being close to the Chicago Premium Outlet Mall, beautiful forest preserves, and the best shopping Fox Valley Mall and Yorkshire Shopping Center have to offer. 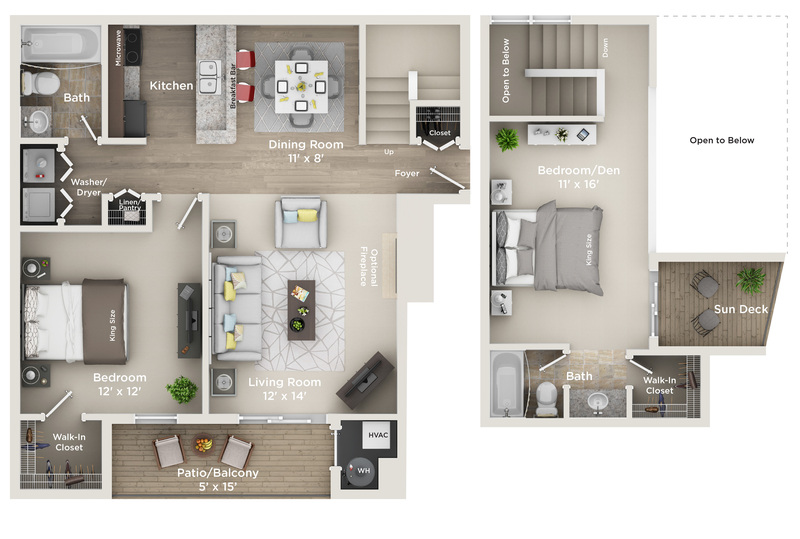 Our spacious one and two bedroom apartment homes are cable-ready, feature three different finish packages, full-size washer/dryer, private patio/balcony, walk-in closets, and breakfast bars. Newly renovated apartments are also available, with sleek appliances, white modern cabinetry, brushed nickel hardware, granite countertops, and wood-vinyl floors. Relax at our community with peaceful views of our lush landscape and tranquil waterfall features. Enjoy a walk on our shaded walking paths. Soak up the sun and take a dip in the swimming pool. Call today to schedule a tour with a member of our professional sales team!